"Damit Sie bald wieder fit sind!" Would you like a short-term MRI appointment to examine a sports injury or to clarify a disease at the Radiology Berlin-Mitte? If you have urgent health questions, ask our radiology medical office for a quick appointment for imaging diagnostics. 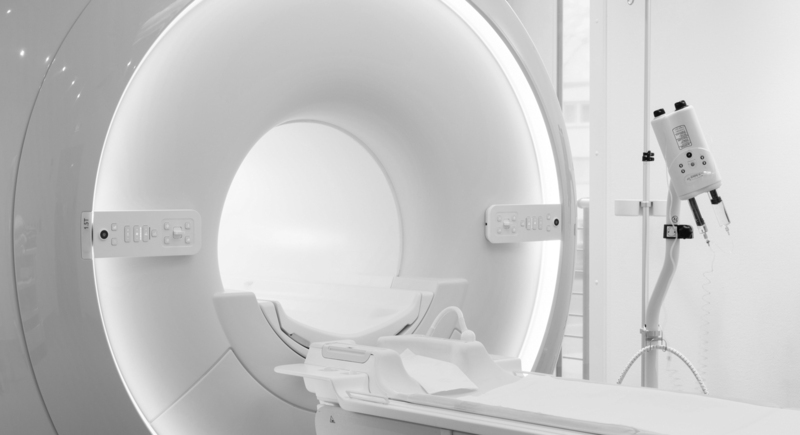 As a rule, our excellent office management makes it possible to offer you a prompt appointment for an MRI examination in open MRI. In his many years of practice and teaching, Prof. Dr. med. 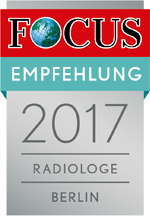 Jürgen Mäurer has developed a special focus in the radiological diagnosis of sports injuries. An MRI examination, for example, can detect fine muscle injuries and treat them specifically by a sports physician. An MRI can provide valuable information in the case of chronic pain, such as sports overload. Sport radiology is not reserved for professional sports, but can protect performance-oriented amateur athletes from chronic sports illnesses. Sport radiology can also provide information about individual injury risks. In this way, possible health risks can be avoided for a specific sport. For the diagnosis of sports injuries we have an open MRI, a 64-line computer tomography (low-dose), sonography equipment for ultrasound examinations as well as classical X-ray diagnostics at our disposal. Prof. Dr. med. Jürgen Mäurer has published several reference books on sports radiology, which are now standard literature for physicians. These include, for example, the volumes published by Thieme-Verlag entitled "Efficient shoulder imaging - an update for everyday clinical practice" and "Efficient knee imaging - an update for everyday clinical practice". The radiologist and nuclear physician works closely with sports medicine facilities in the city of Berlin. Would you like to be and stay active? As an ambitious runner with marathon experience, Prof. Dr. med. Jürgen Mäurer knows the demands on your own physical performance. Looking into the MRI tube in the open MRI can be useful in the case of persistent complaints, pain or before resuming training. Please make an appointment for an MRI examination by telephone. Mammography and ultrasound examination of the female breast are important examinations in the clarification of a disease of the female breast (curative mammography) and are part of tumor aftercare. In the MRI of the breast (MR mammography), a very small, not yet palpable tumors or tissue changes of the breast can be revealed. In MR mammography, no X-rays are used as in mammography. MR mammography works like a classical MRI with a strong magnetic field. Prof. Dr. med. Jürgen Mäurer has been carrying out breast diagnostics with great sensitivity and a trained eye for detail for 30 years and discusses the findings with every patient. He has a special training as a diagnostician and doctor responsible for the program as part of the mammography screening. MR mammography is a private service or an IGe service. Prostate diagnostics is performed by Prof. Dr. med. Jürgen Mäurer in open MRI (3 Tesla). A suspicion of prostate carcinoma or changes in the prostate should be clarified promptly. Because only an MRI examination of the prostate allows a targeted biopsy for further diagnosis. 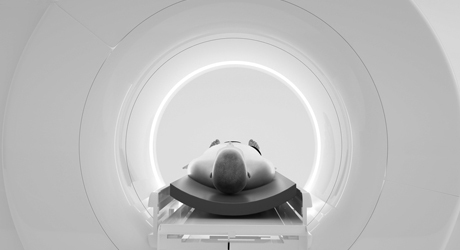 The results of prostate diagnostics in MRI are considered to be very reliable. Magnetic resonance imaging (MRI) or nuclear spin tomography does not work with X-rays. The images of the inside of the body are calculated using magnetic fields. The MRI of the prostate is a private service or an IGe service provided by Radiology Berlin-Mitte. The MRT examinations are performed on an open MRT of the latest generation. With its wide opening of 70 cm it is also suitable for claustrophobic patients (with claustrophobia) or overweight (up to 250 kg) but also for children and people with limited mobility (kyphosis). The head can remain outside the magnetic coil during many examinations. 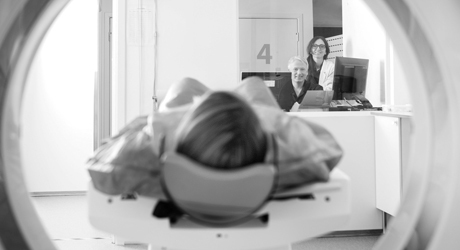 For a short-term appointment call us at the Radiology Berlin-Mitte. 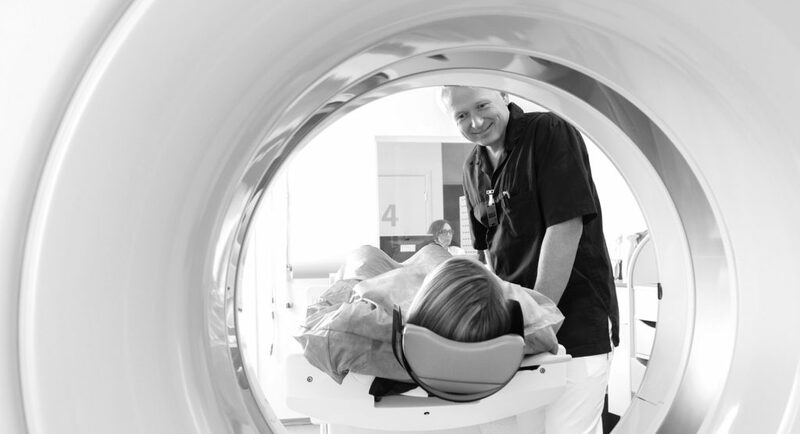 For prostate diagnostics, joint diagnostics with cartilage and ligaments and functional MRI diagnostics of the head, Prof. Dr. Mäurer uses the open 3 Tesla MRI (private service / IGeL). With excellent image sharpness and high patient comfort (opening of 70 cm), this MRT device is also suitable for claustrophobic, overweight or movement-impaired patients as well as for children. In many examinations, the patient's head may remain outside the tube. Computed tomography is an X-ray examination in which 64 tissue layers are recorded simultaneously with each rotation (up to three times per second) of the X-ray tube. Computed tomography is completely painless and has only a low radiation exposure due to the short duration of the examination. The radiation dose depends on the examination area: the less tissue, the lower the radiation dose. Diagnosis of metastases is always performed with a very low dose (LowDose-CT). The images acquired during the examination are combined on the computer to form virtual layer images or three-dimensional images. In this way, individual body regions can be rotated on the screen and viewed from all sides. As a physician for radiology and nuclear medicine, Prof. Dr. med. Mäurer is a proven expert in the diagnosis of diseases of the skeletal system and the female breast. He received training as a physician responsible for the mammography screening program. His professional stations led him via the University Medicine Göttingen and Charité Berlin to a joint practice in Munich and from there to the Rhön-Klinikum in Frankfurt (Oder) as head physician and institute director for radiology, nuclear medicine and radiotherapy. 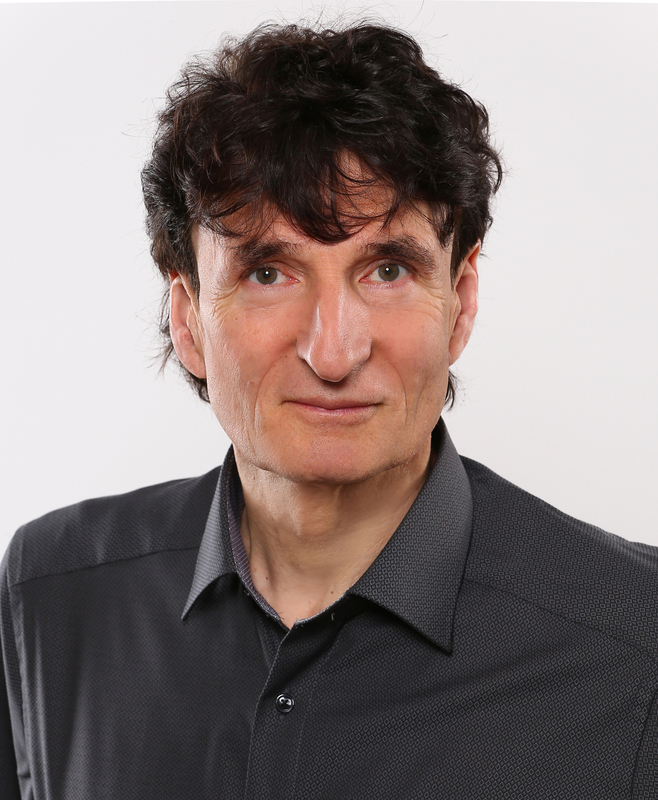 Since 2013 he has been a resident radiologist in his practice for radiology in Berlin-Mitte. He has held an extraordinary professorship at the Charité Berlin since 2001. 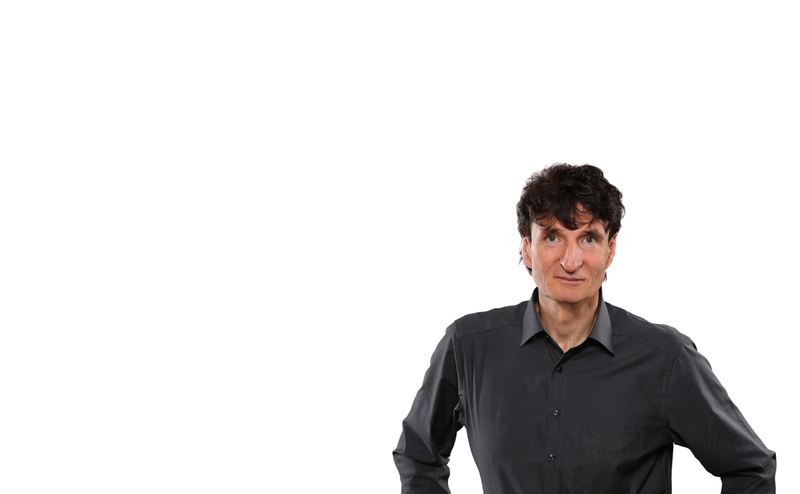 As an author, he has published numerous publications and books on diseases of the skeletal system and sports injuries. 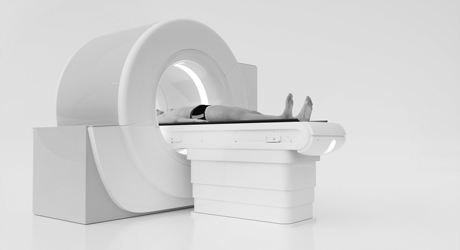 Would you like a short-term MRI appointment? Make an appointment for magnetic resonance imaging (MRI) for breast diagnostics (breast MRI) or a prostate examination. Short-term appointments are also possible for computer tomography (CT), breast sonography, X-ray examinations, osteodensitometry in our radiology practice. 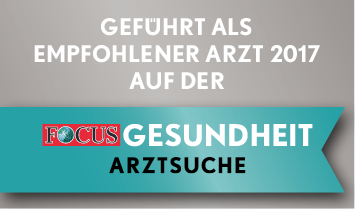 Make an appointment with the RADIOLOGY in Berlin-Mitte at phone 030-203 98 80.